This shortcode allows you to show a users transfer fee when using the Transfer Plus plugin. You can select to show the fee for either the current user viewing the shortcode or a specific user’s fee. 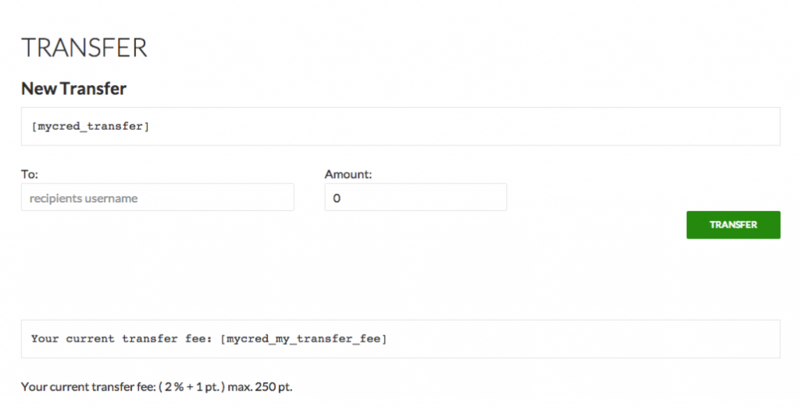 user_id int No current Option to show a particular users transfer fee instead of the current user viewing the shortcode. nofee string No - Optional message to show users that do not have a transfer fee. By default the shortcode will show nothing if the user has no transfer fees.